PANTHEON accounting users spend less time entering data, maximize work output, and make fewer data entry errors. All legislative changes and standards are automatically updated over the Internet, ensuring that accounting firms are always in compliance with relevant laws and regulations. With PANTHEON Accounting, it’s also easy for firms to branch out into consulting and financial planning and related services. With PANTHEON you can cover all business processes in the company: purchasing, sales, manufacturing, service and support processes: human resources management, finance, accounting, planning and controlling. PANTHEON is by your side from small beginnings, when all you need is the invoicing function, and keeps up with you when you’re a large company with several branches and international operations. It will grow with you and adapt to your needs while functioning in conjunction with other programs as a cornerstone of your IT system. Because of this, there are several versions, each with a different number of functions available. Besides many IT functions, it offers a number of tools to make the work of accountants easier. Easy exchange of data and documents between the accounting firm and the customer. A great many options for customizing posting, reports and exported data according to the needs and preferences of the user. The possibility to use as a standalone module or in connection with the goods, manufacturing and personnel modules of PANTHEON and the ZEUS business analytics. 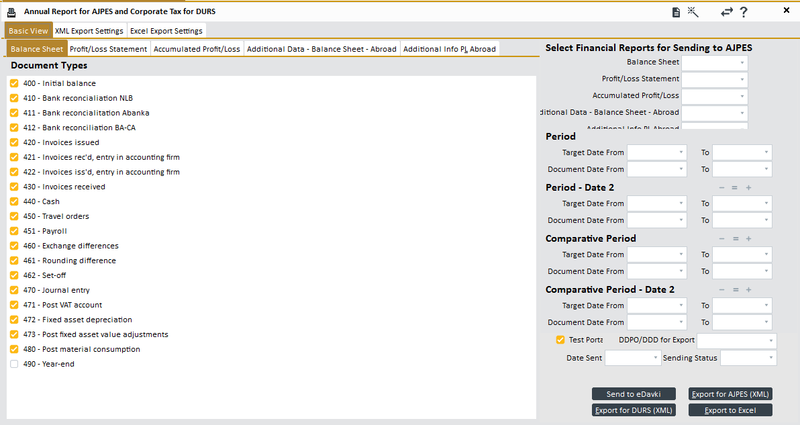 Out-of-the-box balance sheet reports and an option of creating your own custom balance sheet reports. Creating consolidated company reports in different countries. We ensure that the program is constantly in compliance with legislation in Slovenia, Croatia, Bosnia and Herzegovina, Montenegro, FYR of Macedonia, Albania, Kosovo and Bulgaria. On-line transfer of registers and various templates just a click away. If your client uses another program, we enable the import of data necessary for the preparation of VAT accounts and balance sheet reports. We are constantly supplementing the program according to customer proposals and wishes. The recent years saw the following new modules: notices, debt collection, collateralization, accounting management panel. You may easily view the work performed in your accounting firm using the accounting management console. Quick entry of invoices via the accounting entry of received and issued invoices obtained from customers in paper form. Business analytics and financial planning. Integration with various document management systems. Possible subsequent programming of the system according to the user’s needs and requirements. Importing data about companies from the business registers. Preparation and export of annual reports for the Agency for Public Legal Records and Related Services, the Tax Administration, etc. PANTHEON provides accounting firms with an efficient, stable, secure and powerful accounting software that is easy to use. With business analytics, the accountant can offer his or her customers business consulting and is able to create business reports fast and easy. Reports can be issued from the program by exporting to PDF, MS Excel or e-mail and submit financial reports to your country’s Business Register directly from the program via the Internet connection. With the Hosting option you can use it without any investment in infrastructure and maintenance. A certified PANTHEON accountant has successfully completed a comprehensive training and validation program by carrying out a test of knowledge in the areas of Accounting, VAT and Salaries. You can find a list of certified PANTHEON accountants on each subsidiary’s website. With PANTHEON you have an excellent overview of the operations of your suppliers and customers (partners). We can quickly see which documents were exchanged, the volume of turnover you have created with them, accounts payable and receivable just by viewing the partner. Preset posting helps you not to think about posting invoices and at the same time avoid irregularities in posting. Automatic tasks ensure that transactions are promptly posted. The transactions section includes support of cash and non-cash transactions, preparation of compensation, offsets, exporting files with payment orders, which are imported into the selected bank, and importing bank statements and their automatic posting, which is a true time-saver. A large number of overviews of receivables from customers and payables to suppliers (outstanding items, overdue items, the largest buyers and suppliers by turnover, etc.). The functions (default) interest, notices and debt collection help you in the recovery of receivables from customers that have not settled their payables on time or have not settled them at all. Summary reports are sent daily to your e-mail. You can open documents and reports in other databases quickly via shortcuts. Automatic posting of issued, received or POS invoices overnight. You can set custom shortcuts for different functions in the program. Set permissions to restrict user access to various parts of the program. Users can export data, registers, posts and reports to PDF or Excel, where they can edit them. You can open invoices simply by clicking the associated documents. Users can choose from pre-built standard reports or they can create custom reports and analyses. You can create templates for automatic (recurring) posting of document types. Business information systems are living organisms, which need to adapt to ever-changing environments. Legislative changes are one of the factors driving the perpetual evolution of business software. Another is the internal need for improvement of the program to make it faster, more stable and user-friendly. This means that the program has to be updated with new versions regularly. PANTHEON is updated over the Internet at least every three months. That’s when new versions of the software are released with patches, changes and improvements. During times of extensive legislative changes (such as changes in VAT calculation, fiscal invoice verification, etc.) the program is updated on the same day new legislation comes into effect. To make updating as easy as possible, the whole process is automated and carried out over the Internet. Privacy and security of users’ business data are guaranteed during the updating process! Experts in Datalab’s development are in charge of improving the program, while subsidiaries localize the program and continuously check the relevant legislation to keep it up-to-date. How to start using PANTHEON Accounting? Check the list of courses organized by the Datalab Academy for accountants. In case you decide to purchase the program, it will be installed on your computer/server and you will have to regularly upgrade software to new versions (in order to keep up with legislative changes and new functions) and ensure that data are archived. The purchase amount shall be settled in a single installment and the program will become your property. You will be charged an annual lump sum for program updates. We at the company Vizija računovodstvo are aware that a quality accounting program and professional and quick support of their experts are crucial in the management of accounting for more than 1,300 customers. We got this from the company Datalab and their program PANTHEON. The PANTHEON software enables a wide range of overviews and reports from business and tax ledgers. This way we can submit quality information and ensure timely planning in the future to the customers of the accounting firm. The possibility of connecting companies directly to our accounting firm through hosting is also one of the advantages of the software. A high-quality and dynamic accounting program that can satisfy the needs of both simple as well as highly demanding users. Topped with a software development house that listens to its customers trying to make the program even better, while adapting to the needs and requirements of the financial profession as far as possible.